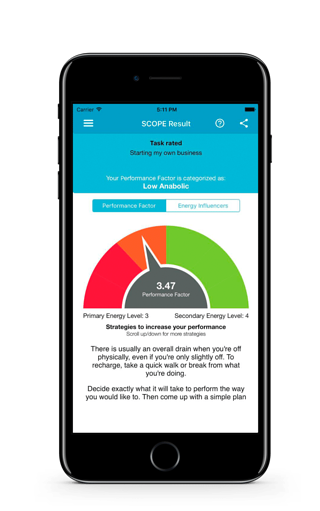 Designed to be taken before any task, activity, or performance, the SCOPE assessment gives you a “Performance Factor” which lets you know your chances for success. The higher your Performance Factor, the more likely it is that you'll perform well. Maximize your chances of high performance for anything you're going to do! In his bestselling book, Energy Leadership, iPEC founder Bruce D Schneider introduces the concept of the 7 Levels of Energy that describe how you “show up” in all aspects of your life. From the playing field, to the boardroom, to your home, the energy you experience in any situation, role, or task determines the results that you get. iPEC offers two assessments to measure energy. The scientifically verified Energy Leadership Index™ (ELI) assessment, taken by tens of thousands of people over the last decade, measures overall energy both in ideal circumstances and under stress. The assessment is amazingly accurate at pinpointing the underlying thoughts, beliefs, and emotions that dictate what you do and how you do it, and the awareness and insights it produces have literally changed lives. In 2014, after years of development, iPEC released its newest assessment—SCOPE—based on the ELI. SCOPE stands for Specific Current Operational Profile of Energy. 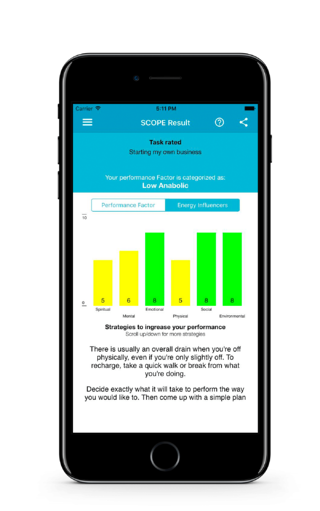 Designed to be taken before playing, practicing, or competing, the SCOPE assessment gives you a Performance Factor that lets you know how energetically engaged you are regarding the task you’re rating. The higher your Performance Factor, the more likely it is that you’ll perform well. The SCOPE assessment allows you to understand what you need to shift or adjust to increase the likelihood of performing to your potential. Monitored over time, this assessment will reveal the patterns and tendencies that promote optimal performance.